I sent $50 through PayPal marked Brown case. This interests me greatly. So many different stories and so much that makes no sense, I hope they respond and not deny the request. Sadly, here in Illinois our only hope is the courts. It shouldn't be this way in America. Ran the two orders through Acrobat OCR. Posting the searchable PDFs. First is the 10/16 order, second is the 2/14 order. Out of curiosity, do we know what happened that got her charged? Someone accused her of firing the gun in the air, witnesses testified she did not, there was no evidence the gun had been fired. Looks like the appealte defender's office is handling the case. The 10-16 order is funny. I don't know why the court expanded its argument from the 2-14 ruling since I can't see the responses filed after 2-14 but it's funny. The court says the law is unconstitutional because it states you must have the FOID "on your person" if in "constructive possession", and since you are in constructive possession at all times while at home the law means you could never not be carrying your FOID on your person while in the house. Edited by gtr2009, 25 March 2019 - 12:34 AM. Wouldn’t you be in ‘constructive possession’ of your FOID card if it was anywhere in the house. That was the situation when we found out her attorney is retiring. That has changed. I know we are all well aware of how BS this system is but when they spell it out like above, it makes me wonder how it's been allowed to stand for so long. Literally just came by to wish you all,well, perhaps not the best of luck but the best of timing in terms of the next court(s) the case gets heard in. 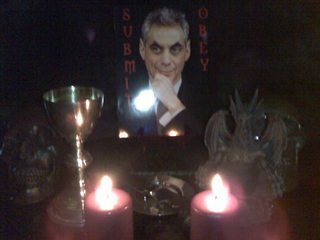 I have close friends in IL, so just wanted to tack on some well-wishing. It occurs to me that, post-Heller or not, it is sad that no one in a court seems to have embraced the 2nd Amendment in the way that Murdock v. Pennsylvania embraced the First, e.g., "No State shall convert a liberty into a privilege, license it, and charge a fee therefore." and the doctrine of "freedom of press, freedom of speech, [and] freedom of religion are in a preferred position", indicating that certain fundamental human rights have prerogative. Would that more jurists took that approach with the 2nd. Fair winds & following seas in your journey. So, if the FOID requirement is unconstitutional to Brown, what about ". . . nor shall any State [...] deny to any person within its jurisdiction the equal protection of the laws." How can it be unconstitutional just to one person and NOT by definition violate the Equal Protection Clause? Fourteenth Amendment? Fourteenth Amendment? If it applies to Brown v. Board of Education and also applies to everyone, than how can this Brown v. not ALSO apply to everyone? That being the case, perhaps it would be a very ripe time for a class-action lawsuit using that fact as determined by this decision to challenge the FOID law once and for all. 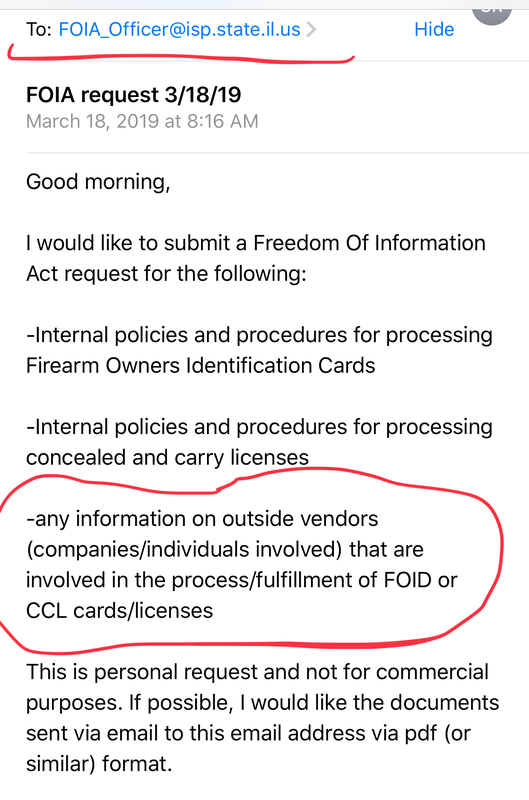 Does IllinoisCarry have the ear of some hard-charging Second Amendment/civil rights attorneys that would be open to entertaining pursuing this? Surely we can GoFundMe, even just among the thousands on this board and their families and friends who support firearm rights, a considerable retainer fee to get the ball rolling. I have an extra $500 in my shooting funds jar that is just sitting around to either purchase a new toy or waiting for my favorite ammo manufacturer to have a big discount code sale. I'd happily repurpose that for a donation if I knew it would actually be applied to that cause. I think we would have to wait for the case to be final before that route is traveled. Who knows it might get over turned on appeal. Can you provide a link or info on how to do this, for those of us that aren't too savoy? Thanks in advance. Imagine the roadblock this would throw in JB & Madigan's way if this case goes in Brown's favor. Wouldn't that put a "knot in their knickers" !! It would toss the antis into chaos, at least in this state. It would just add impetus to "universal" background checks (i.e., prohibiting personal transfers) and mandatory firearm registration, which anti-2As already want, anyway. Once upon a time, the argument in favor of the FOID was that anyone could do a background check on anyone just by checking the validity of their FOID; and all the legal firearms were already known to be in the possession of people with FOIDs. Therefore universal background checks and firearm registration were unnecessary for those purposes. The bigger question right now is whether the Illinois Supreme Court, led by Anne Burke, is likely to affirm the trial court's finding. Given the political makeup of the Illinois Supreme Court, my first thought is that the odds at this point favor reversal and an upholding of the FOID law from a political perspective. Then it becomes a US Supreme Court fight. The Illinois Supreme Court could (1) uphold the statute entirely, or (2), I believe, the Ill. Sup. Court could just strike the fee provision and uphold the rest of the statute, or (3) strike the statute in its entirety. Right now there is little to do but wait the appeal and the decision. Luckily for us, the case does not go through the intermediate appellate court and, instead, goes straight to the Illinois Supreme Court, so we will have a decision more quickly. Edited by gunuser17, 27 March 2019 - 03:48 PM. It would just add impetus to "universal" background checks (i.e., prohibiting personal transfers) and mandatory firearm registration, which anti-2As already want, anyway. And that leaves open the same argument about a 'tax on exercising a right' that is unless these rolled out universal background checks are going to be free? And I would argue that a database of those that choose to exercise a right is an infringement upon the right itself, but that is an argument for another day. I think the whole thing will have to go. They can't just strike the fee because then a FOID would still require a "permit" to exercise a constitutional right. UBC wouldn't be free. It would be the same FFL-transfer fee we already know, but it would be a one-time cost associated with transferring the firearm. There'd just be no on-going fee only to possess a firearm. Eliminating FFL transfer fees on constitutional grounds would be difficult, I think. Cities are allowed to require permits for parades or speakers corners even though there is a free speech right that prohibits government interference. Yes, the government can place nondiscriminatory and narrowly drawn minimal (no more than cost) monetary fees, time and place restrictions on a right when it's deemed it will stress resources or will impede the pedestrian or vehicle movement or interfere with peace, but just the same nothing stops those same people even in small groups from walking and speaking along the same exact routes or doing it a park at other times without a permit when there is no need for additional resources and it's not impeding others. Plus there must be a fee waiver procedure for those that can't afford the fees. Even so this 'assembly' or 'public display' fee is actually something the ACLU actively lobbies against. Churches still have to get building permits despite the first amendment exercise of religion clause. And the 2nd equivalent of that would be that gun ranges still need building permits also, it's not a fee on exercising the right it's a fee on building a structure.